Some things about Halloween have always filled my little heart with joy. I was reminded about a few of my favorite Halloween things while shopping for costumes, decorations and candy with my kids. I was having a great time buying spooky signs, loading up on Kit Kats and Almond Joys (for my trick-or-treaters, of course), and helping my girls get their costumes together. And that’s when it happened: the theme music to The Exorcist came on. Like a dog who can hear her trainer’s whistle, I cocked my head to the side, figured out what I was hearing, and decided I had to make a break for it. “Come on girls,” I said, as I ran towards the checkout line as fast as I could. It took me back to the days when I was certain the stairs in our house were going bump in the night, the devil was after me, and scary Halloween movies made me crazy (in a good way). Linda Blair. Split pea soup. A real head-turner! These phrases still make my hair stand on end and my heart thud. I remember waking up in the middle of the night and hearing the theme music playing on the radio. I was terrified and pretty certain that I was next on the list of little girls that would soon be possessed. Even worse, Sister Anne Kathleen or Sister Felicity would probably try to beat the devil out of me by yardstick. 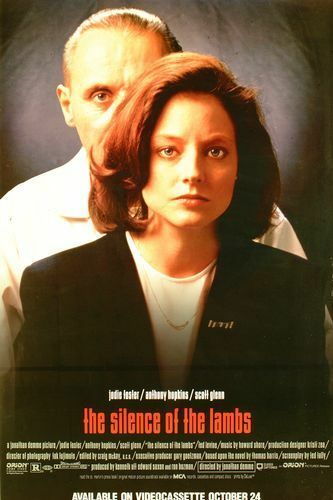 I finally saw this movie in its entirety when it premiered on network television. Even though it was cut to ribbons, I lost a lot of sleep over it. The creepy voices, ineffective priests and backwards scratched “Help Me!” on that little girl’s chest were just a few of the scares that kept coming. The fact that I could imitate the priest’s mom’s voice perfectly when the little girl said, “why you do this to me Demi? I’m scared” to torture the priest didn’t help matters at all. I didn’t expect this movie to be scary, probably because I loved Gregory Peck in To Kill a Mockingbird and couldn’t imagine Atticus Finch being involved in anything remotely evil. So I thought this would be a great movie for me to watch while babysitting. Gregory Peck makes some questionable choices early on, agreeing to take some other dead woman’s infant son so that he didn’t have to tell his wife that their baby had been still born. It seems like a great solution to an otherwise miserable situation. I mean, nothing bad can come of this…right? Unfortunately, that little boy happens to have a father who may have been a goat and, oh yeah, the devil. In fact, this kid happens to be the Antichrist. Ooops. When Lee Remick decides to hang that picture at the top of that very high hallway, with just a banister between her and meeting her maker, I felt really sorry for her. As Goat Boy banged on the pedals of his Hot Wheels and made a beeline for Mommy’s ladder, I knew she was a goner. When the photographer starts seeing how other people are going to die in his photos—and eventually sees the way he will die—I was totally freaked out. That creepy little kid reminded me of the kids I was babysitting for. I had to stop myself from going in their room and pulling their hair back to look for the 666 I was sure must be on their heads. I was never so happy to see parents return in my life! “Quid pro quo, doctor.” The fiery relationship between Clarisse and Hannibal “The Cannibal” Lector was very entertaining. I wasn’t too frightened as the bodies started to pile up, because this movie showed remarkable restraint when it came to violence…at least early on. It was only when the young, blonde, “next” victim named Catherine was driving home and singing along to Tom Petty’s “American Girl” that I started to panic. That was ME driving back and forth to school, work, or my boyfriend’s house, singing away, totally oblivious to danger lurking nearby. Here’s the big difference though. When I got out of my car late at night, I would not have gone over to the weird guy with the cast on his arm, who was struggling to put a couch in his van. I would NOT have said, “hey mister? Do you need help?” or gone into his van to pull that couch in. Nope. I would’ve run inside, locked my doors, made some popcorn and then watched that idiot struggle. I mean, who moves a couch alone, at night, when you’ve got a broken arm? Sometimes it’s good to be a New Yorker. Anyway, if I did end up down that well, I sure as hell would’ve rubbed that lotion all over me every time he told me to. At least when I (hopefully) got freed, I would have skin like those women in the moisturizer commercials. Plus I’m sure even I would’ve lost some weight. Win/win. After a long day of banging on people’s doors, begging for candy, there was nothing better than crawling onto the couch next to my mom to watch a scary movie. 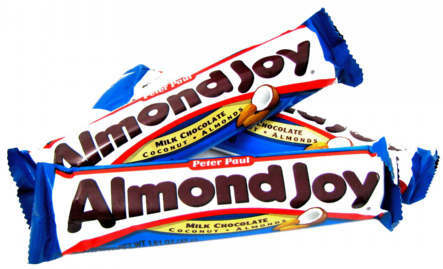 We’d munch on my already thoroughly inspected and approved candy (all it needed was a stamp that said, “No Razor blades here”) as we watched Psycho on WPIX Channel 11. “Hey Ernest (Borgnine)! Don’t go up the stairs! I appreciated Alfred Hitchcock’s camera direction and the way it felt as though you were actually being stabbed along with Janet Leigh. Mom said that some people in the audience were outraged. I wonder if any of those people saw The Texas Chainsaw Massacre when it came out. Probably not. Now that’s my kind of crowd. When the remake came out in the 80s, I had no real desire to see it. I couldn’t imagine how they would improve the plotline and I was almost certain there would be gore involved. Of course, my date at the time thought it would be great fun, so off we went. I was fine until Jeff Goldblum a.k.a. 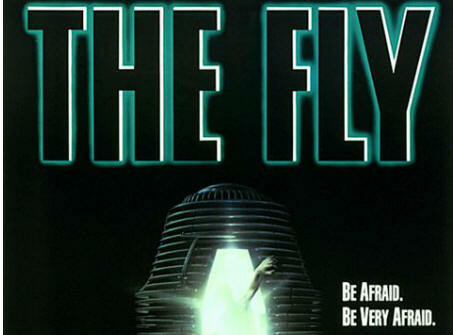 “The Fly” got into a bar fight and broke the other guy’s arm. Did I ever mention that I don’t like compound fractures? Well I don’t know many people who do, but I know even fewer who pass out when it’s not happening to them. My date left me in a post-faint heap, covering my eyes and ears for the duration of the movie, while he chomped on popcorn. Good times! The party is soon over when their creepy youngest daughter goes missing and they can only communicate with her via the static on their TV. My question is, what’s wrong with these people? One thing’s for sure: they definitely aren’t Catholic. At the first sign of levitating car keys or knick-knacks being moved from their rightful place, my grandmother would’ve had the house exorcised by the first priest she could lay her hands on. But no, this family brings in a paranormal group that’s completely in over their heads from the get-go. Thank goodness for that little lady with the weird voice, or they may have had to settle for visiting their kids through the TV static. I saw this movie with my brothers Jude and Joe, and Joe’s new girlfriend, Christine. Joey said he wanted to take her to a scary movie so he could put his arm around her. I sat there with my arms wrapped around myself. For ultimate 80s schlock, look no further than this horror show. My date was into really terrible horror movies, and this certainly fit the bill. Since this was one of our first dates, I went out with my friend Maureen and she helped me get an outfit. I bought a new pair of colored jeans with purple pinstripes (I said it was the 80s), a fitted black top, and a brand-spanking new pair of white high tops. When my date arrived, he stomped on my new white shoes. “I’m helping you break them in!” he said. “How about I help break in your head?” I replied, and almost broke up with him on the spot. I was so incensed that I would’ve liked to strangle him. I did not strangle him. Instead, I went with him to see that awful movie. 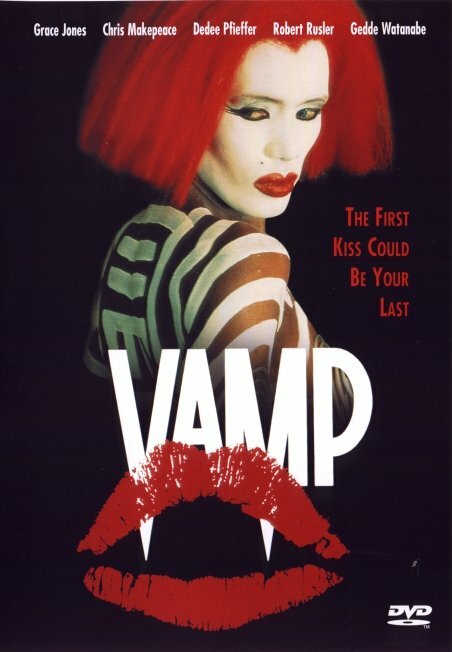 There was lots of blood, a muddled storyline about college boys in the very wrong place at the wrong time, and Grace Jones acting very badly. Chris Makepeace (from My Bodyguard) spent a lot of time running away from vampires in this movie. Where was his bodyguard? I think my date was hoping I’d get scared and let him put his arm around me. Instead, I kept tapping my “broken in” high tops and kept thinking how much I would’ve liked to take my date to Grace Jones’ next party. I saw this movie on HBO on yet another babysitting adventure. I didn’t expect it to be too hard to watch and I’d heard lots of great things about it. It started slow, and reminded me of an episode of Star Trek. Everyone was waking up from a very long sleep and trying to make sense of an SOS call from another ship. Ho-hum. But then all of a sudden, that creature comes crashing out of that guy’s stomach and all hell breaks loose. It was pretty novel seeing a woman be the last one standing. Sigourney Weaver was strong and smart, and so cool. Still, when the kid I was watching woke up with a tummy ache, it kind of freaked me out. Here’s another great reason to have an unlisted telephone number. The Terminator is big, strong, and relentless. Plus, he’s Arnold Schwarzenegger when he was at his crazy, campy best—in action-packed thrillers, and not in seedy real-life melodramas. 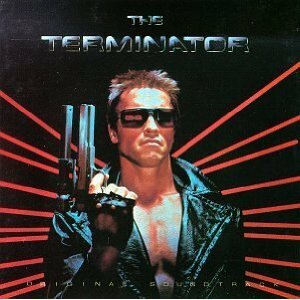 “I’ll be back” was our signature saying at Stern’s whenever we had to go into the stock room for a customer. 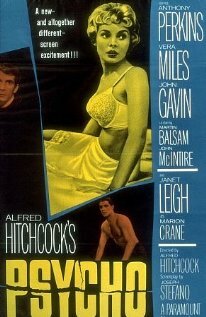 I saw this movie at the theater in Douglaston, right next door to Stern’s. You have to see a movie like this in the theater, since part of the fun is listening to other people scream, root, and cheer for and against The Terminator. This movie got my pulse pounding and was really pretty funny at times. Arnold had a great sense of humor, even for a robot. There was even some romance thrown in. Kyle came back from the future to save Sarah! Awwwww. I liked how clueless, helpless Sarah morphs into a tough broad who can handle a gun and use her brains to outsmart The Terminator. When the movie opens, she is sort of waiting for life to happen. By the end, she’s making things happen. I saw this movie with my friend Denise. We chugged Cokes, ate fistfuls of popcorn, and hid in each other’s shoulders when the going got rough. There was just the right mix of violence, action, and a little smattering of blood so that Denise didn’t have to carry me from the theater when it was over. There are some movies that worm their way into your head and become unwelcome tenants there. For me, A Nightmare on Elm Street was that kind of movie. At first glance, it seemed to have all the makings of a pretty lame horror movie. Bad acting, sketchy production values, and a slasher plotline made me pretty sure that it would be so cheesy I’d just laugh at it. But the actual “hook” of the story bugged me. A monster named Freddie Krueger is out to kill the kids on Elm Street. He visits them in their dreams and kills them, one by one. So here comes this creepy monster that lives in a boiler room and comes for you in your dreams. No one can escape Freddie’s visits. Everyone has got to sleep, right? The night I planned to go see this show after work, my mother and father tried to talk me out of it. “Maybe you should see something else,” my Mom said. But I was 18 already and didn’t like being treated like a baby. Plus, a big group of my friends from Stern’s were going after work, and I didn’t want to be left out. “I’ll be fine,” I said. What did my parents know anyway? I was pretty proud that I didn’t faint or throw up during that movie. I was very brave and had everyone convinced that I liked this kind of thing. But for the next couple of weeks, I would have nightmares that Freddie Krueger was dragging me off to the boiler room and trying to kill me. I couldn’t run, or hide, and I’d wake up screaming. My mother would appear next to me, saying: “It’s just a dream. You’re okay,” in her most soothing, ‘my daughter is insane’ voice. Sometime in the third week, something even scarier happened: I woke up my father. My father was standing there in his wife-beater’s tee-shirt and boxer shorts. His comb-over was down across his now red face and his eyes were almost as crazed as mine were when my date stomped on my new high-tops. “Sorry,” I said, as he turned and went back to bed. I lay in my bed, laughing uncontrollably for a while, and then finally drifted off to beautiful, peaceful sleep. Freddie didn’t come around anymore. My father had evicted him. 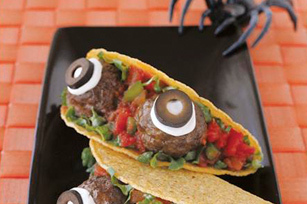 While you’re watching your creepy Halloween movies, here are some things to munch on that are appropriate for the evening, including Severed Finger cookies and Spooky Eyeball Tacos. Enjoy! 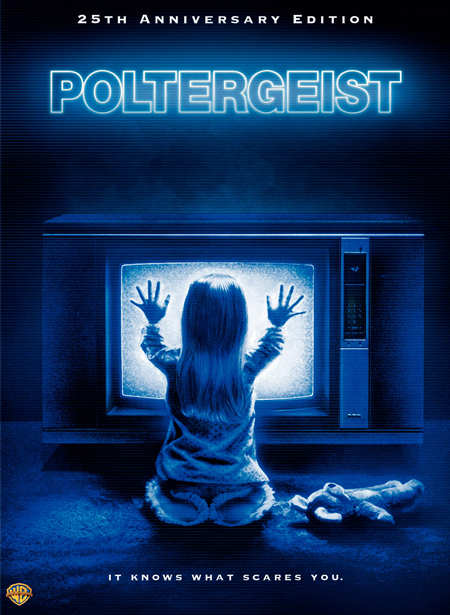 So, Hungry Lifers: what Halloween movies bring back your best (or scariest) memories? Leave a comment and let us all in on the fun. What made my viewing of Psycho real scary wasn’t the shower scene or Norman Bates as his mother, what made it really scary was for some idiotic reason I was sitting in the Balcony (yes they still had balconys in those days) next to my brother-in law Nick who was loonier than Norman. I was sweating until I got home and he went to his. 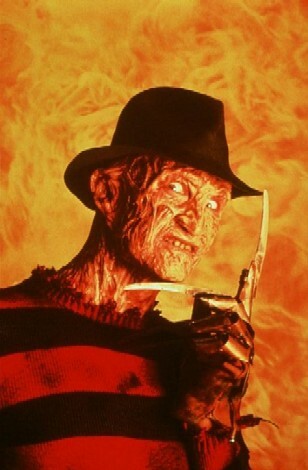 Whoever your father was back in Freddy Kruger time would have scared me too, you’ll have to introduce me some day. But for scary movies try “The Uninvited” with Gail Russell. When I was younger my brother had to take me to the movies on Sat. with him. One Sat. he wanted to see “The Cat and The Canary” with Bob Hope and Paulette Goddard. I was too scared to go but my brother insisted so my father took me to the neighborhood itch called “The Town” while my brother went to the Loews in Flushing. I can’t imagine what my father was doing at home on Saturdays at the time since he always worked on Saturdays be it at his regular job or his weekend gig at Louie Renga’s. As for Halloween it is the least favorite of all the holidays for me. I pray for rain so all the Moms and now Pops can keep their little darlings inside. Bah! Humbug! BUT we had our midnight horror shows back in the day with a real horror movie, Frankenstein or the like and scary shorts. We’d leave the movie, have a pizza and get home after 2PM. My mom didn’t let that happen too often. You saw Psycho with Uncle Nick? Now that does sound scary. Yes you should meet my father sometime. 🙂 I was so afraid of him that night that I laughed myself to sleep. I’m still not sure why The Cat and the Canary was so scary for you. I will have to watch that some time. Come on, channel your inner friendly guy and hand out candy today. You’ll have fun. This blog is going to keep me up for nights. O3O But I remember you telling me about the high tops! Man, if he were to step on MY brand new shoes, I would have literally bashed his face in! I loved reading this mom! Keep writing! Of course I’m reading this before bed, and now I won’t be able to sleep. Thanks a lot, Maria! Halloween, the original movie, scared the you-know-what out of me. That music. Haunting! And Jamie Lee Curtis was always walking around a dark house. Flick on a light, girl! As always your writing makes me smile, makes me reminisce — and makes me psyched to read your book once as soon as it’s published! I never did see Halloween with Jamie Lee Curtis. Why do people walk around dark houses? You could do surgery in my house when I’m afraid. Thanks for looking forward to the book–I can’t wait either. 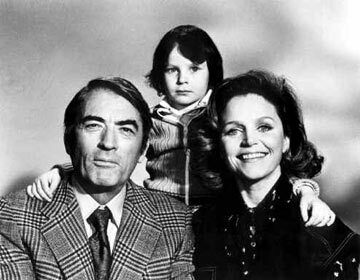 Great post – very cool that you updated the pic for The Omen (with a hilarious shot), one of my most favorite times at the movies ever. 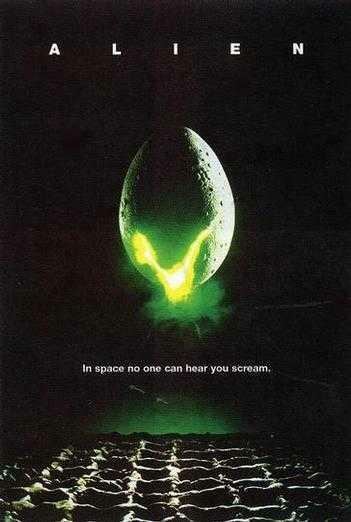 Alien is my 4th favorite film of all time, simply amazing movie. Lots of my faves here, except for Vamp which I’ve never seen. 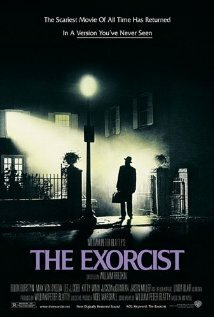 I’d say The Exorcist was certainly one of the movies that actually scared me first time I saw it; had the good fortune to see it at Radio City back in 1996 and realized how great a movie it is. (Alas, my Dad had recently passed so I didn’t get a chance to talk to him about it, and Ellen Burstyn and William Friedkin speaking beforehand). The other one would be The Evil Dead which still creeps me out to this day.